With so many classic theaters in danger, just saving one is enough to be a hero. But what if you saved a bunch? What if you become a leader in preservation even when faced with a tough market and an age where movies are no longer the focal point they once were? I’ve always admired the Chicago-area Classic Cinemas chain for their championing of such treasures as the Tivoli, Lake, and York Theatres and thought it was about time to see how they managed to put it all off. This morning, I got on the phone with the chain’s owner and founder, Willis Johnson, and he gave me some insights. MZ: What got you into the theater business? WJ: I owned the Tivoli building and one tenant happened to be a theater. Around June 1978, the person running the theater, Oscar Bortman, walked away from the lease. I needed the theater to operate in order to pay the rent so I started looking for someone to run it. Unfortunately, I wasn’t too happy with the prospective tenants until Ed Doherty came to me and told me he’d run the Tivoli but only if he could just do the theater side, but not the business end. That was fine by me because all I knew was the business end. We reopened in August 1978. 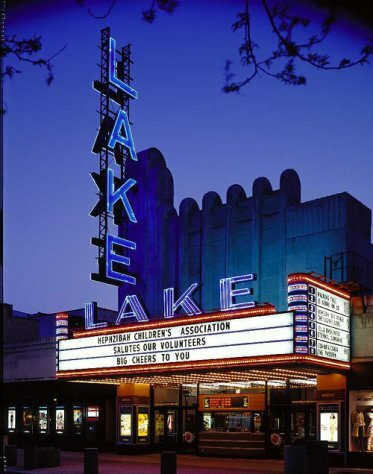 MZ: There are many classic theaters in the Chicago area, many long since gone sadly. What are some of your childhood memories of those theaters? WJ: Surprisingly, movie theaters weren’t really a big part of my life growing up. I’m sure I went. I just don’t remember much of it. There was the Don Theater in Downers Grove. They showed westerns. I don’t think I went though. MZ: When did you know that your business was on the right track? WJ: We got a good reception from the start. All it took was seven months and then we went from red to black. MZ: When did you start acquiring other theaters? WJ: After the Tivoli came the Park Forest on Christmas 1980. That was a great one cause it opened in 1950 so it was the last of an era. The York came after that, then the Lindo, all by 1982. MZ: What growing pains came with growing your business from just on theater to many? WJ: Just managing all of them, moving around. We learned the business as we went along cause in the beginning we knew nothing about the operational end. A lot of other theater chains would lease theaters and then start corporations for each one. If things went downhill, they’d just bankrupt the corporation. We had one corporation to own and lease everything so that made things more difficult. MZ: What’s been the hardest part about maintaining classic theaters? WJ: It’s a challenge to find craftsmen to replicate features of the theaters or rebuild parts. Finding history is tough too. We really knew nothing about the theaters initially, but stumbled upon some great stuff as a fluke. One morning, a man came to my door and handed me some blueprints of the Tivoli. As it turns out, his father had a bricklaying business and had just passed away. When he and his sister were cleaning out their father’s attic, they found blueprints to the Tivoli along with other buildings. We also found prints of the York on the stage in back that were very close to deteriorating completely. MZ: I know for a number of your theaters that were initially single-screens, once you acquired them, you added more screens. Was there any community opposition to that and if so, how did you deal with it? WJ: We’ve never had many complaints about that. I guess there were a few when we were triplexing the York. Some people came and said we were “desecrating their theater.” We thought, “when was the last time you came to the theater? How could you want it to continue like that when the theater was in such terrible shape?” The way we looked at it, we had to do something to make it worth going to again. Another reason we’ve rarely had issues like that is because we always try to be sympathetic to maintaining the authenticity of the theater. We try to recreate how it was in whatever way possible. 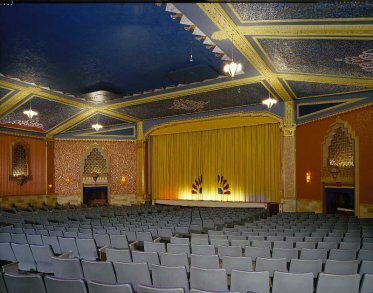 We buy decorations from old theaters before they’re demolished and look at old pictures of our classic theaters whenever we’re renovating. Joe DuciBella helped a lot with that. Thanks to him, we’ve gotten light fixtures from other theaters and tried our best to replicate other features. One time, we found a chandelier in the back but many pieces were missing. Using that and photos, we were able to build one that looked just like it. Sometimes we’re right on and other times not, but that’s life. MZ: What theater would you love to buy? WJ: I would have loved to have had the Southtown. I don’t know if it would have worked out with all the renovations necessary and the location but I would have loved to own it. With it demolished, there’s nothing I’m lusting after right now! MZ: Thoughts on movie ads? WJ: I don’t jump up and down about it. The business has changed though and with it you need to consider alternate sources of revenue. It’s something we’ve done in all our theaters for a while. We just do them before the show. Once showtime comes, there are trailers then the main attraction. MZ: A lot of people say DVD’s are the death of the movie theater. What do you think about that? WJ: I don’t think it’s true. The people that buy DVDs seem to buy them because they liked seeing it in the theater. So much of a DVD’s success comes from word of mouth and that’s built by the theatrical release. It has impacted the business, sure. Nowhere near the impact television had. People still like the out-of-home experience. People are going to restaurants more than ever before, but everyone still has kitchens. There’s something about laughing and crying together in a theater. Plus, it’s really hard to replicate the huge sound. MZ: What tip would you give to other theater owners? WJ: It’s all about presentation. Back in the 40’s, if you wanted to go out, you went to the movies. Today, people have too many alternatives for their discretionary income. There are ways to cut costs at a theater but you just can’t do it. You must keep your theaters clean. You must have a friendly staff. I understand it’s really hard maintaining theaters, especially older ones. But if the seats are comfortable, the picture is sharp and the sound is clear, people will come back. And thanks to Willis Johnson for spending the time answering my questions. I think this is a great success story with a lot of wonderful triumphs to show for it. Have a good weekend everyone! We encourage you to share your thoughts on the subject. For comments on the article or the blog itself, feel free to email me. We’re also open to any suggestions for future columns! Oh my… if only Willis Johnson were to step in my shoes and spin his magic in southern California… we have dozens of beauties crying for their doors to reopen. Yes? The Johnsons are truly first-class operators in every sense. 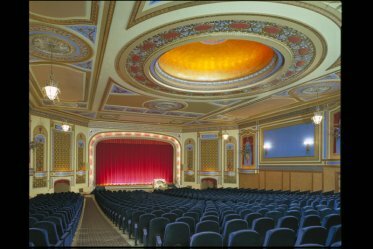 There is no experience like sharing the magic of the movies in one of their theaters—visit the Tivoli if you’re ever in the area! The Lake is great as well. Kudos to Classic Cinemas! Isn’t that beautiful…but what in the world kind of view do you get way in the back?? It’s not really unusually deep. That’s just result of a wide-angle lens.